RCPCHStart means Specialty Trainee Assessment of Readiness for Tenure, and it guides trainees as they prepare for completion of training and practice as a new consultant. Here is how it works and what to expect on the day. Take a look at our example scenarios - you can download examples of what is handed out on the day, and watch videos of sample discussions. Can you hand over to a colleague? Can you take a ward round? Can you make decisions in a clinical situation where the diagnosis is not clear? Do you understand safeguarding children and the ethics that underpins our practice? Can you read a paper and take away the clinically important messages? There are 12 stations in total, each being eight minutes in duration. You will move from the first four stations to the next set of four stations. You will then have preparation time for the final set of four stations (which include critical appraisal and safe prescribing). You can download example scenarios below. These relate to the specimen trainee feedback report, also below. 12 objective assessments per trainee. The sequence in which you take the stations in the circuit varies. Each station is eight minutes long. There are four-minute breaks between each station, in which you will read the next scenario. The entire circuit takes 188 minutes. Remember - we are not assessing to find outstanding trainees. We are looking for those trainees who meet the standard required: trainees who can perform at the level of a newly-appointed consultant. In this video, two assessors are standard setting for a scenario, and what they will expect from a trainee. You can download the scenario (0042) below. Here, a trainee discusses the scenario with an assessor. In this video, an assessor and trainee discuss the safe prescribing scenario, looking at the completed prescribing chart. 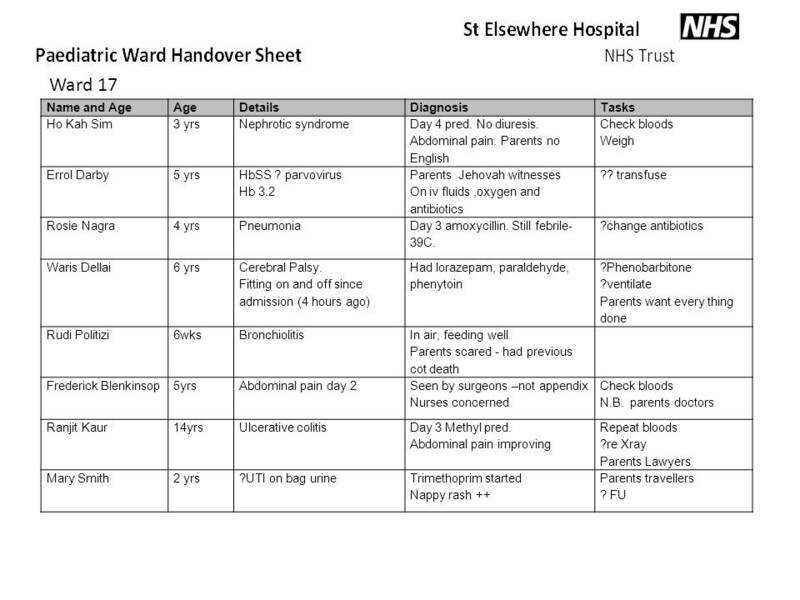 You can download the scenario (0135) and prescribing chart example below. Here, the trainee reflects on the assessor's feedback he has received in the safe prescribing scenario. You can download his feedback below. The ‘anchor statements’ for each station enable the assessors to make judgements on trainees, and the trainees to understand the expected standards. You can download these benchmarking standards below. If you have any questions, please contact us at start@rcpch.ac.uk.